Mr. Davoudlarian is new to Colorado, after spending the last six years in Alaska. Of those six years, five were spent in “bush” Alaska. He worked in fly-in only villages that were 100% either Inupiaq or Yup’ik Native Alaskan. This is a huge difference from where he grew up. He spent 33 years in the suburbs of Washington, D.C. and never thought he would leave the area, but things changed. He spent over a decade in corporate America until he realized that education is where he belongs. Outside of school he spends as much time with his wife and three daughters as he can. He and his family like raising chickens and ducks. Along with these animals they have 4 dogs, 4 cats, and a guinea pig. If the season is right, and all chores are done, you can find Dave outside hunting and fishing. Tish was born and raised just outside of Dallas, Texas. She has been married for 20 years to her San Luis Valley native husband. They have four children, three boys & one girl. Her husband's medical practice has brought them back to the Valley. She is a city girl living a farm life, living on ten acres with an ever growing population of animals. ​Tish's previous jobs include pre-school Head Start teacher, Executive Director of Camp Fire USA, and floral/retail shop owner. Her hobbies include cooking, fishing, writing poetry, floral design and good music. Most importantly, she loves being a mom. "I'm a nurturer. That's why I love being a part of this school. I get to be a small part of the everyday lives of some amazing kids and work with passionate, professional educators that make my job all the more enjoyable." Shawn was born on the island of St. Thomas, which is located in the United States Virgin Islands. His family moved from the island to Orlando, Florida after Hurricane Hugo caused a lot of damage to the island. From Orlando, they moved to Knoxville, Tennessee then to Fort Lauderdale, Florida. In Fort Lauderdale Shawn attended William T. McFatter Vocational Technical High School where he received a high school diploma and a Vocational-Technical certificate in Graphic Design in 2004. After graduating from high school he attended Florida Atlantic University for two years. He pursued a desire to work in the video game industry at F.A.U. by majoring in 3d Art & Animation. After completing his second year at F.A.U. in 2006, Shawn decided to move to Atlanta, Georgia and attend Point University, earning a Bachelor of Science in Biblical Studies and Preaching. Shawn has a passion for youth and literature so the degree program was a perfect fit. 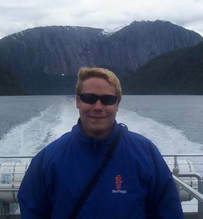 After earning his Bachelor’s degree Shawn worked in retail management until the end of 2015. Currently, Shawn is working on a Masters Degree in Education through Adams State University and will finish in December of 2017. Shawn moved to the San Luis Valley in December of 2015 and began substituting in various school districts. Over the summer of 2016, he entered the Boettcher Teacher Residency to begin working on his Colorado alternative teaching certification. During the first semester of the 2016-2017 school year, Shawn taught fifth grade Reading and Writing at Haskin Elementary in Center, during the second semester he taught seventh grade English Language Arts at Centauri Middle School. When the opportunity arose to teach 8-12 English Language Arts at the Monte Vista Online Academy and DELTA Center Shawn jumped on the opportunity. Upper Secondary is Shawn’s passion in terms of teaching English Language Arts and he build’s computers and enjoys all things technology so the position is a dream come true for him. Some things Shawn enjoys are working with youth, teaching, hiking, the mountains, nature in general, the amazing views of the stars we have at night, video games and building computers. Some fun facts about Shawn are while he lived in Fort Lauderdale, he studied Tae Kwon Do and attained the rank of First Degree Black Belt. He was heavily involved in youth ministry before going into education. He once ate eel and thought it was nasty, the taste was fine but the texture was gross. And lastly, Shawn has swam with dolphins and manatees. Mr. Huff began teaching with the On-Line Academy in 2009. 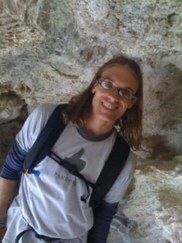 He enjoys getting to know students as individuals and the creative aspects of online teaching and learning. Mr. Huff also enjoys leading an annual field trip for OLA students to the State Capitol building in Denver each year in February. Mr. Huff grew up in the small town of Marshall, Missouri, before attending Colorado College where he earned a Bachelor's degree in History, with an emphasis on African history. From 1999 to 2001, Mr. Huff served as a volunteer in the U.S. Peace Corps, living with a host family in a remote village in the country of South Africa. On returning to the U.S., Mr. Huff earned a law degree from Lewis & Clark Law School and a Master's in Teaching from Eastern Oregon University. Mr. Huff loves travel and has visited 47 states and 32 countries. He also enjoys spending time with family, listening to all types of music, running, hiking, camping, backpacking, snowboarding, and bicycling. He lives in Portland, Oregon, with his wife and daughter. I was born in Biloxi, MS and raised in Colorado since I was four and been an off and on again resident of the San Luis Valley since I was six. I graduated from Alamosa High School in 2005 and from Adams State College (before it turned into a university) in 2011 with a BS degree in Biology Education. Over the next few years I bounced all over Colorado teaching secondary science. In 2014 I went back to school to get my MA degree in Education and graduated from the University of Phoenix Online in 2016. 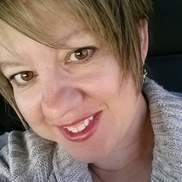 Then I bounced around a few more jobs in education before happily landing myself here at OLA/Delta center in Monte Vista, CO.
Mrs. Noonan is brand new to the Online Academy and is excited for the new experiences/challenges that come with being an online teacher. She considers herself a lifelong learner. She looks forward to getting to know her students and building a positive, supportive and productive relationship with each individual. Mrs. Noonan is a native of Colorado. She grew up in Littleton, Colorado. She attended Metropolitan State College in Denver where she received a BA in Psychology and Minor in Human Services in 1994. She married her husband in 1996 and became a “military wife” while they were stationed at Fort Bragg, NC until 2003. Her and her family moved to the Monte Vista, CO in 2004. She was a preschool teacher at Sargent Early Learning Center from 2006-2009. In fall of 2009 she went to Adams State College where she received her Interdisciplinary Degree (Elementary Education Degree). She intended to teach elementary aged children, but landed a preschool teaching position, which she loved, within the Monte Vista School District from 2012-2018. She has also created a summer art program over the past three years for elementary aged students. She is passionate about art and what it does for the well being of people. She also loves gardening, hiking, spending time with family and friends as well as renovating her 1903 house with her husband, their two sons, and their cat, Bubbles. Glenn Pace has been with the Byron Syring DELTA center and Online Academy since Aug. 2018. He began his career working for Albuquerque Street Outreach in 2007 specializing in working with the homeless. Everything that Mr. Pace has done since has focused on building relationships with people and helping those who are, regardless of circumstance, less fortunate. Mr. Pace earned a Bachelor’s of Science in Psychology with honors from the University of Phoenix in 2011 and continued his education by studying mathematics at Western Governor’s University. He began teaching under an alternative licensure program through Mountain BOCES while teaching under Jennifer Nipper at Rifle Middle School during the 2017-2018 school year. Passionate about relationship building, working with at-risk populations, and helping others overcoming math anxiety, Mr. Pace is well positioned to be a very fruitful addition to Delta and OLA. Mr. Pace loves children and teaching them how to view failure as nothing more than an opportunity to enhance learning and as a first step to success. In addition to his altruistic focuses, Mr. Pace enjoys spending time with his wife Annie, who is also a teacher, and his son Yosef. He also enjoys athletic training, cooking, instructing and participation in SCUBA diving, and volunteering in his spare time. 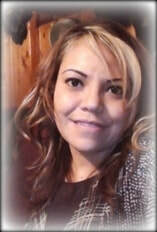 Ms. Romero has been with the Monte Vista On-Line Academy/Byron Syring Delta Center for many years. She says this about the staff, " I work with a wonderful staff that always goes above and beyond to help students succeed and achieve their goals for the future." She enjoys spending time with her family. Her other interests include sewing, drawing, bike riding and going on walks. Mrs. Simon is a native of Tennessee but has lived in Colorado since 1995. She earned a Bachelor of Science degree in Business Administration/Marketing from the University of Tennessee, in 1992. The natural beauty, cultural history, and quiet living brought her to the San Luis Valley in 1999. After moving to Colorado, she felt the need to have a greater purpose in life and decided to return to school, earning her teaching certification and Master's Degree in Special Education from Adams State College in 2003. Since that time, Mrs. Simon has been passionate about serving at-risk students who face multiple life challenges. 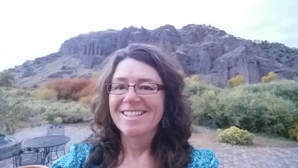 During her tenure with the Monte Vista School District, she has served as a middle school Special Education teacher, the district Instructional Coach, district New Teacher Induction Coordinator, and currently as the Special Education/Literacy teacher at Byron Syring Delta Center and Online Academy. "Empowering students to realize the greatness they all possess brings me great joy!" In her spare time, Mrs. Simon loves to mountain bike, garden, and spend time along the creek with her husband and furry kids. Kevin Wright grew up in Evergreen, a small mountain town just west of Denver. He attended Evergreen High School, and post-graduation enlisted in the U.S. Air Force as a Security Specialist (his enlistment included a short tour of duty in the Middle East). After the military, he worked in the ski industry, traveled to Nepal (to mountaineer), and attended the University of Northern Colorado in Greeley. When he graduated from the University of Northern Colorado, Kevin took a job as the lead security guard at a large metropolitan high school. The Columbine High School tragedy occurred during this time period, and the experience motivated Kevin to pursue a life-long career as an educator. While attending Metropolitan State College of Denver and getting licensed to teach, he worked as a part-time substitute teacher and a part-time private school teacher. After becoming licensed, Kevin worked as a teacher for the Colorado Department of Youth Corrections for several years, and in the summer 2006, he moved to the San Luis Valley and began teaching for the Monte Vista School District. ​In the past, Kevin has also taught at Adams State University, for the local search & rescue team, and for the Alamosa Sheriff. In the summer of 2013, Kevin worked as a Teacher Ranger Teacher (TRT) at Great Sand Dunes National Park. In 2015, Kevin published a book, Search & Rescue in Colorado's Sangre de Cristos. In 2016, Kevin received the Colorado Department of Education's Online & Blended Teacher Recognition Award (one of only four recipients in the state for the year). In 2017, Kevin transitioned from teaching into administration, and he is honored to serve the community of Monte Vista as well as online students across the state as an educational leader. Outside of work, Kevin loves to enjoy time in the outdoors hiking and backpacking with his wife (who is a 6th grade teacher) and two "micro" dogs (a chiweenie and a rat terrier).